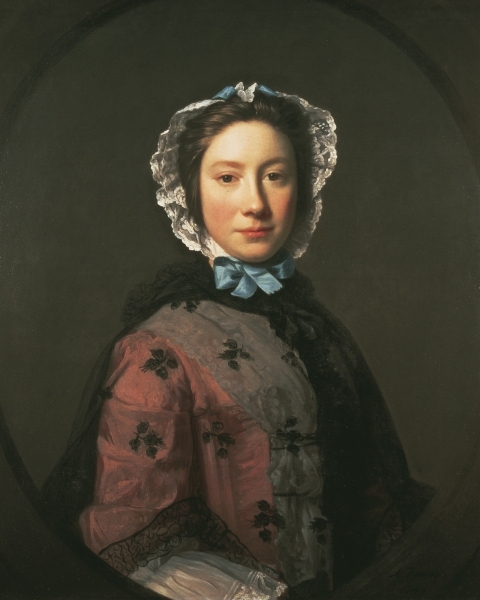 Allan Ramsay came from Edinburgh. After studying in Italy he settled in London, where his polished but intimate style of portraiture was much admired. In 1749 Ramsay made a pair of portraits to celebrate the marriage of his friends John Sargent and Rosamund Chambers. This portrait of Rosamund is unusual for the bold directness of her gaze and strong lighting from the left. Its intimacy and informality recall Horace Walpole’s words: Ramsay ‘was formed to paint women’.